Thrills and mysteries are loved by the people based on various psychological reasons. Anyway, at the end we want to see that the Truth Triumph. We hate it otherwise. It is very tough to create the fictional characters people can relate to. There are a few such successful attempts, Sherlock Holmes – the detective is one of them. He is a super hero in a sense. He doesn’t have the super power or mythical background etc. What he have is all of us have. The brain. He have though a very very good observation power. A mind full of information he collected from various books. He is a workaholic person. When he was working on a case, he doesn’t take care of anything else. He is a human with his own plus and minus. The exceptional knowledge of Sir Arthur Conan Doyle made him to characterize Holmes, and the events associated with him. He have his aid in the form of Dr. Watson. His friend and most trusted fellow. Most of the stories we hear from Dr. Watson’s mouth (or pen to be precise). It is him who explains all the incidents as he have witnessed. The characters of Holmes and Watson have fascinated a lot of other creators (including leading authors, playwright, directors, producers and more). For example take Satyajit Ray‘s Feluda and Topshe. Satyajit Ray himself mentioned that he was fascinated with Sherlock Holmes that he read all them before he was out of the school. He refers Topshe as “Watson of Feluda“. The other famous detective Byomkesh Bakshi, have his Ajit Banerji. Anyway, apart from a number of Books by Sir Doyle, about Holmes, there were television serial and a number of movies about Holmes was produced and presented. The latest in the segment was a Sherlock Holmes film which was released in 2009 casting Robert Downy, Jr. as Sherlock Holmes. The film was a hit and the result was the second film by the team titled “Shrelock Holmes : A Game of Shadows” which was influenced by “The Final Problem” by Doyle. The film met the box office success by collecting around 540 million USD (the cost was around 125 million USD). You can see here Holmes and Watson are playing like James Bond. The Holmes of Doyle was more of mind game fighter (with good physical fighting skills of course) but to add thrills here it was shown like typical film hero. Which however doesn’t harm the image of Holmes anyway. Ok, let us dig a little deep into the content of the movie. Let us take a bird’s eye view to the plot of the move. The film starts with a lady was going somewhere with having a parcel in hand. In the market, Holmes was there in a disguise. He followed the lady and capture the parcel form her by replacing a large set of bun there. He then warns her that there are three men following her since half a mile. The ultimately crash into the fourth man and the lady inform Holmes that they are actually four not three and they are following her but escorting her. Holmes was then forced to return the parcel to her and she went. Holmes has to fight his way by conquering those four goons. He was trapped by them so tough then he had no way out and he was unable to overpower them. He was though saved as two policemen were on patrol in the area. When the policemen went away, he was about to be killed by those four, but Sherlock played the entire possible sequence of events in his mind and visualize the moves of them and played accordingly to get control of the situation in his own hands. Sherlock then followed the lady and landed to an auction room at the end, where she (Irene Adler) had to deliver the parcel to Dr. Hoffmanstahl. She delivers the parcel to the Dr. and received a cover back from him, which she had to deliver to the sender. Holmes came there and warns Dr. Hoffmanstahl that there is a bomb in the Parcel and tried saving him. He also grabs the letter from Irene. Holmes tried his level best to take advantage of the auction room and spreads fire there, so the bomb could do the least harm (if cannot be prevented from a blast). He was able to control the bomb blast but Dr. Hoffmanstahl was killed the other way by the henchmen of the villain. Irene met with Professor Moriarty to explain the stuff. She had chosen the public place (a restaurant) for her safety. Though it was found that Professor’s hired people were there in the restaurant who left on his signal and now her fate was in the hand of Professor Moriarty. Professor suspected that it was Irene’s love for Holmes that made her fail and poisons her. 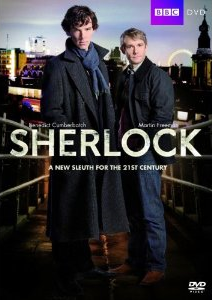 The actual movie and the chain of events start from the point forward when Dr. John Watson, came to 221B Baker Street to meet his friend Sherlock Holmes. He was unable to find Holmes who was present in his room due to the disguise trick he used. Holmes ultimately come in front of him and informed him that he is currently working on to find the connection between several different events, took place at different places and occurred in a totally different way but he suspects that somehow the entire web leads to professor Moriarty. The events were not only murders but also includes terrorist attacks, business acquisitions and other stuff. Dr. Watson’s marriage is scheduled in the near future and he was quite busy and excited for the same (obviously) and was keen about Holmes’ presence there. He arranged a get together for his friends there and of course, Holmes would have to be there. Holmes decided to meet the Gypsy fortune-teller Simza for whom the letter was intended. He meets her and warns her about the danger on her own life. Holmes though able to save her life at the risk of his own life in a thrilling sequence of the fight but was unable to interrogate her to find the details as she flew away. The wedding of Dr. Watson was done in a rather special way (it is good to watch than to explain), and after it was over, Holmes met professor Moriarty for the first time. Moriarty tells Holmes that he murdered Irene and he will kill Mr. and Mrs. Watson if Holmes will not stop interfering his work. Holmes got alert and have decided to follow Watson on the train via which he was leaving for the honeymoon. Will Holmes be able to save Mr. and Mrs. Watson from the attack of the men of the professor? Will he be able to trace Simza and will be able to find anything from her? What is the game of shadows is all about? It is worth watching and we don’t want to spoil your excitement by spilling the beans about the same. The leading cast plays the characters with a flourish as the plus point of the movie. Same is the locales and sets. The idea of the climax fight to be Holmes and Moriarty anticipate an impending physical confrontation rather than actual fight, plays well. The direction is good. Some of the events are not as excellent as expected and as said earlier it shows Holmes in a little different way than he was portrayed by Sir Doyle. Overall a good movie to watch. There is nothing in the movie which you cannot watch with the family (which is now being common these days, making it tough to watch a movie with family). The movie is available on DVD also so you may think to have it one in your personal library. By the way, Warner Brothers have confirmed that there will be a third movie in the series. So fasten your seat-belts. Next: Will search engine updates like Google Penguin affect your website? How to do better SEO?